I'm not skincare expert, but one thing I have figured out is what my skin likes. I have super oily skin with large pores and as I've gotten older, I've also started worrying about the fine lines around my eyes and mouth. Since I battle all these issues I've found that Glycolic acid is a holy grail for my skin. It shrinks my pores and manages my oiliness while giving me anti-aging benefits. I've been using this cleanser for a few weeks and have noticed my skin is softer, smoother and has a youthful glow to it. 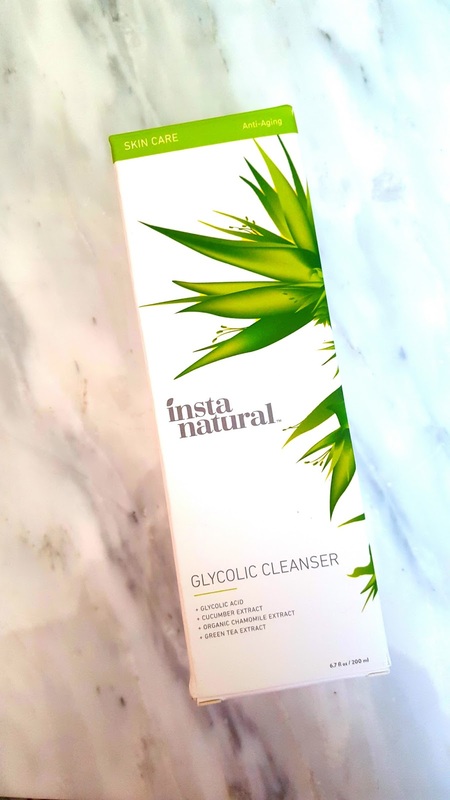 This cleanser exfoliates by removing dead skin cells, helps to eliminate acne and also provides antioxidant protection to help against daily aggressors like UV radiation. 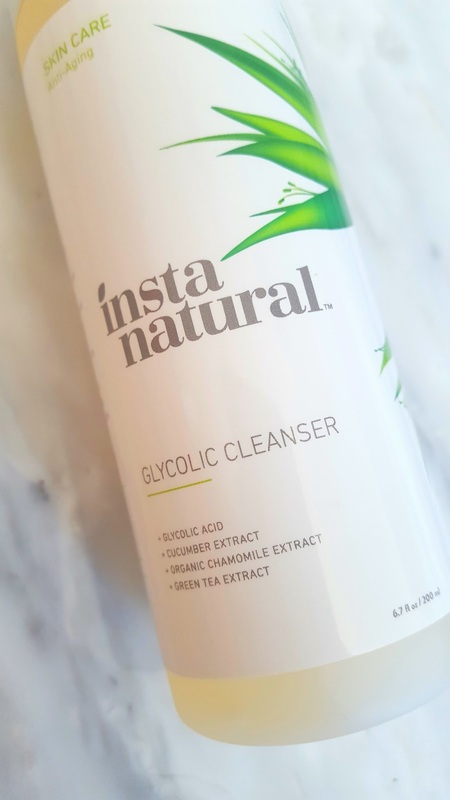 The cleanser has Vitamin E, cucumber extract, organic chamomile extract and green tea extract, just to name a few of the natural ingredients. 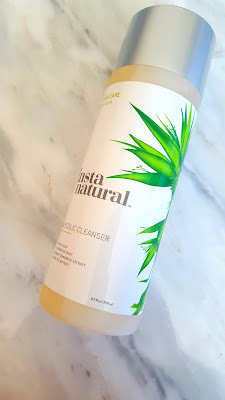 That's another thing I love about this particular brand, it contains natural ingredients that are good for your skin while being incredibly gently. The best part? A 6.7 fl oz bottle is only around $20.00. That's a steal for great skincare! Let me know if you guys have heard of this brand or tried any of the products. I'm purchasing the mattifying toner so I'll keep you guys updated! *Thanks to the folks at InstaNatural who sent me this product for free. This post is not sponsored and all thoughts and opinions are honest and are my own. Great price and looks like a great product! I am leaning more and more to more natural products. You find so many great beauty products for us to try and I love it! Keep em coming beautiful!! I am definitely leaning towards more natural ones as well and I am loving the ingredients in this cleanser. Thanks for stopping in my beautiful friend! This sounds really nice! Great review, Kim! This looks like a great product! I also have somewhat oily skin, so I am always looking for something that will help with that and if possible act as a preventative for wrinkles. It sounds like this does both! Thanks for sharing! Oh wow this sounds like something my skin would love too! Thanks for sharing this awesome product! Hope your week is going great beautiful! Oooh this is really interesting! I'm 29 and have noticed some lines creeping up. Plus I've battled with large pores all my life. I've popped this on my list of things to try. Thanks!